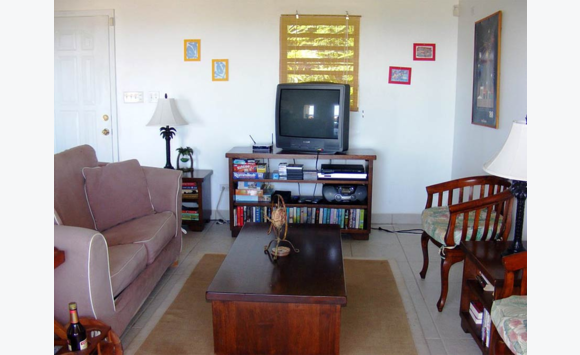 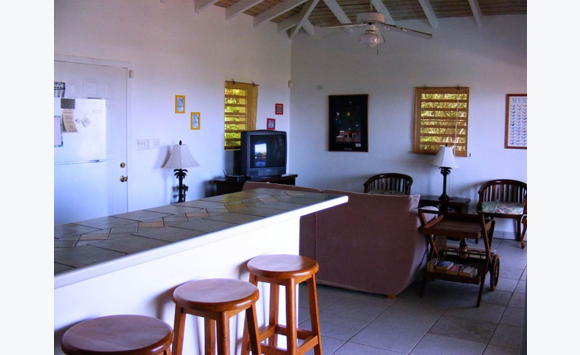 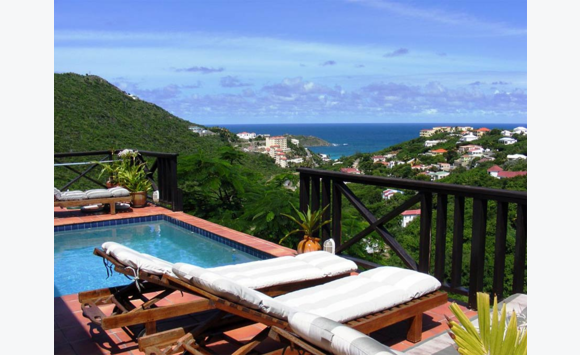 Moondance is a charming two bedroom, two bath villa located on a hillside overlooking the sea at Dawn beach. 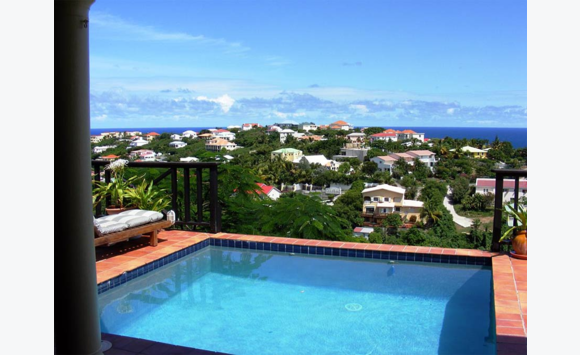 The home is in the new Ocean View Terrace development and is less than a 3 minute drive to Dawn beach, one of the island's finest white sand beaches. 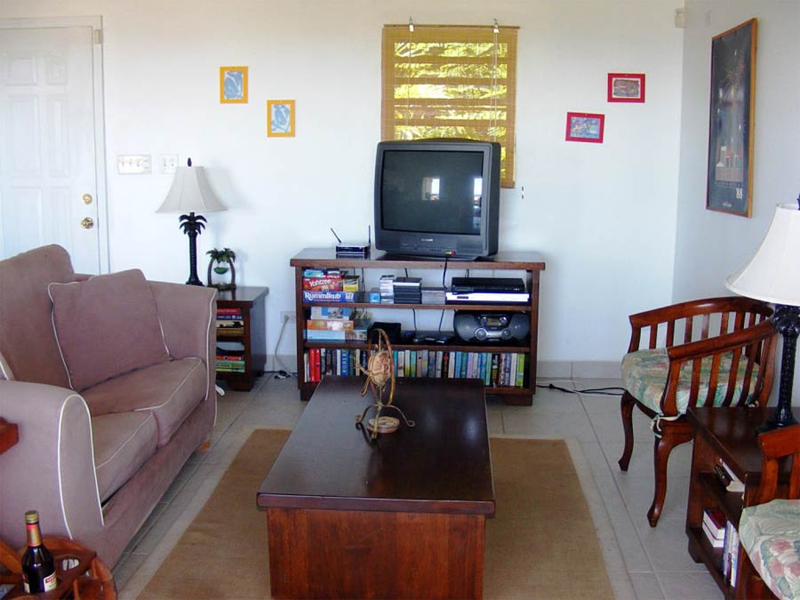 This newly constructed villa offers a lovely living area furnished in teak and a comfortable loveseat that features television and VCR and stereo with CD player. 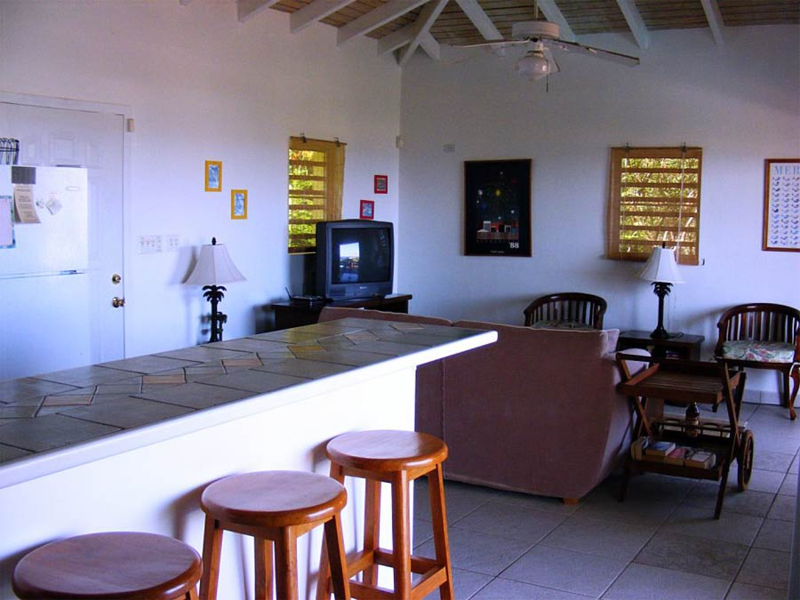 Adjacent to the living area is the beautifully tiled kitchen with breakfast bar. 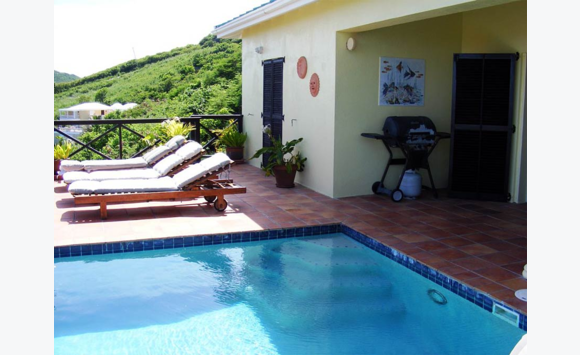 The adjoining bedroom is also furnished in teak and offers a king size bed and ensuite bathroom with shower. 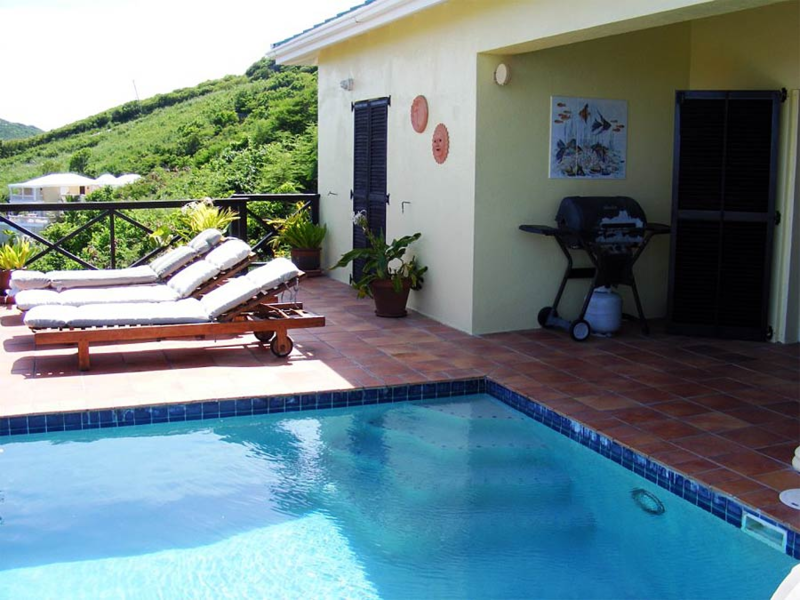 French doors from the living and kitchen area open out to the covered deck area with teak dining table overlooking the plunge pool. 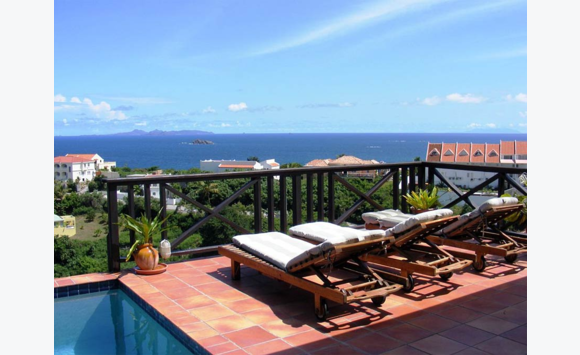 There is ample space for sunning on the large teak lounge chairs that surround the pool. 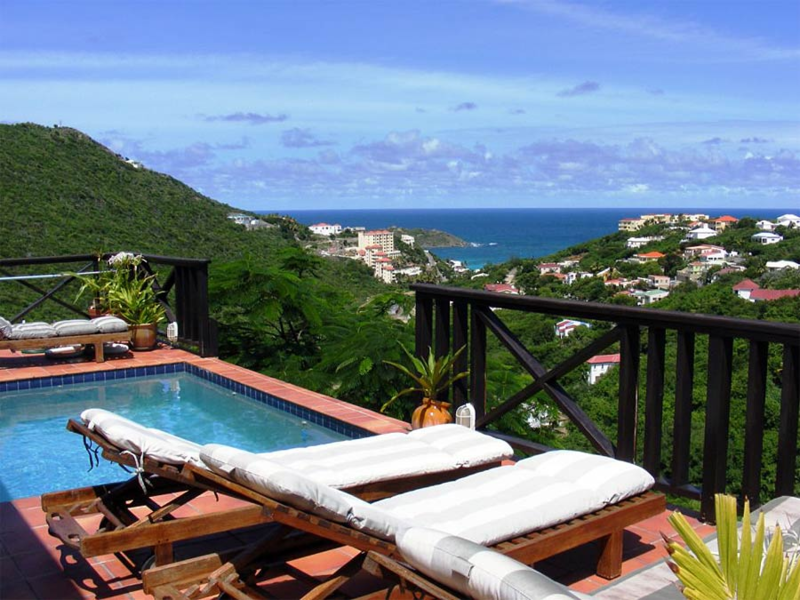 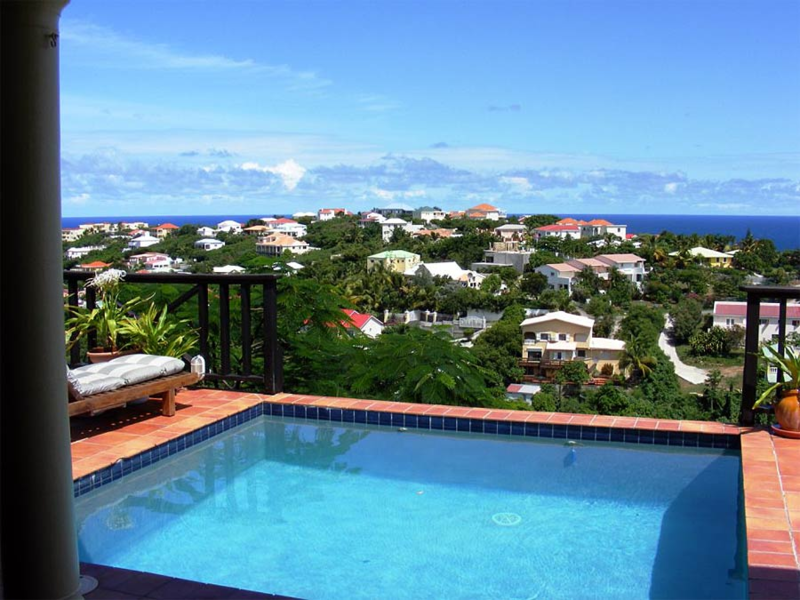 The villa has wonderful views of the sea and the neighboring island of St. Barth in the distance. 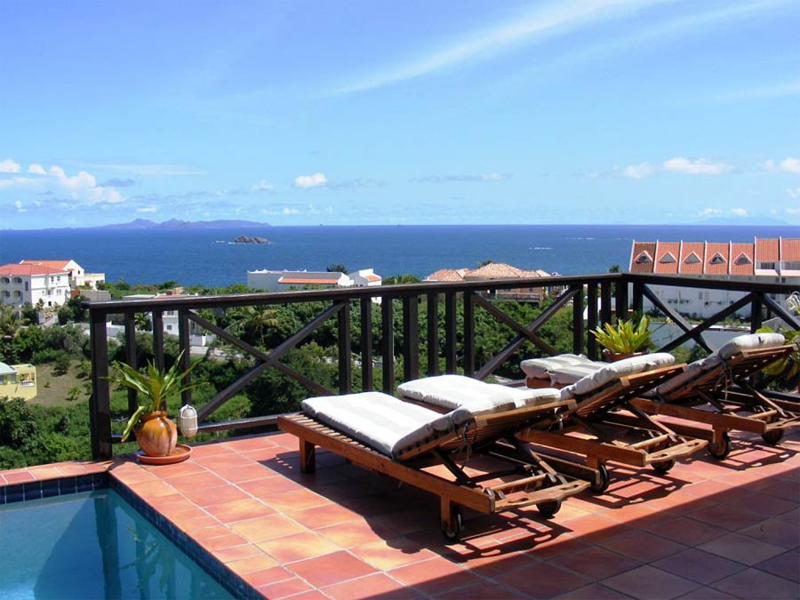 This villa is a wonderful choice for couples seeking a cozy retreat.